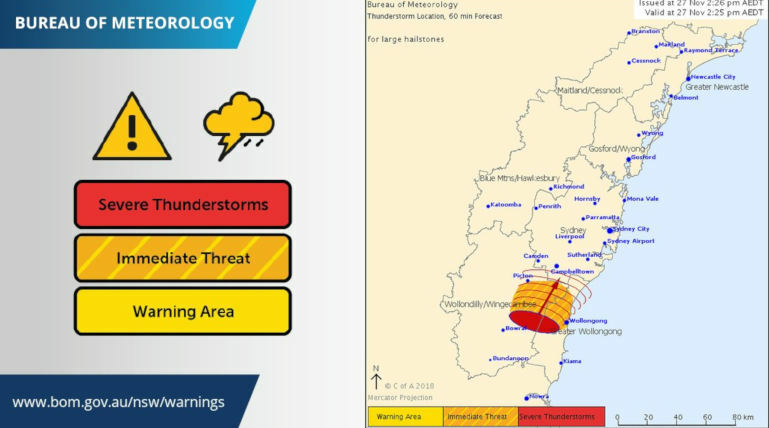 The Meteorology Department of New South Wales has issued a warning for the public with heavy rains expected to pour across Sydney for the next few days. The weather will get worse and Sydney will probably receive 200 mm rainfall in the next 24 hours that is way greater than the average rainfall for the month of November. People of Sydney are advised to stay home and avoid travel as the flash flooding and heavy winds are set to make some damage. Rain is predicted to extend across Sydney and Illawarra Districts due to the intense low-pressure system among those areas. The system will pass through Sydney and Wollongong by sometime tomorrow and will leave offshore post daytime according to the weather department. Hence some intense rains are expected in the daytime from morning to afternoon with rapid winds and big surfs. Also, strong winds are expected post-Wednesday afternoon after the system moves offshore. New South Wales coast will see some heavy wind by afternoon and surfs would rise to a hazardous condition. 70 to 90 km/hr winds are expected to be blown throw the Central Coast. The weather will not be favorable for the motorcycle riders and cyclists by Wednesday and hence the Traffic Department warns people to stay safe.